TORRANCE — A celebration of Lisa Sayaka Nakamaru’s life will be held on Saturday, Oct. 25, at 11 a.m. at South Bay Community Church, 2549 W. 190th St. in Torrance. Nakamaru, 20, a third-year student at UC Davis and a graduate of South High School in Torrance, drowned while rafting on fast-moving waters in Putah Creek on the afternoon of Oct. 12, according to the campus newspaper, The California Aggie. The raft struck an object off a popular campsite near Lake Solano County Park and Monticello Dam. Nakamaru was thrown off and could not be found. Local agencies, including the Winters Fire Department, Vacaville Fire Rescue Water Team and Yolo County Boat Patrol, conducted a search for Nakamaru. After a group of rafters found her trapped underwater, she was pulled out but could not be resuscitated. She also “loved being an athletic trainer (for the football team), being with the team, being out on the field,” her mother said. Nakamaru majored in human development at UC Davis and wanted to become a child therapist. 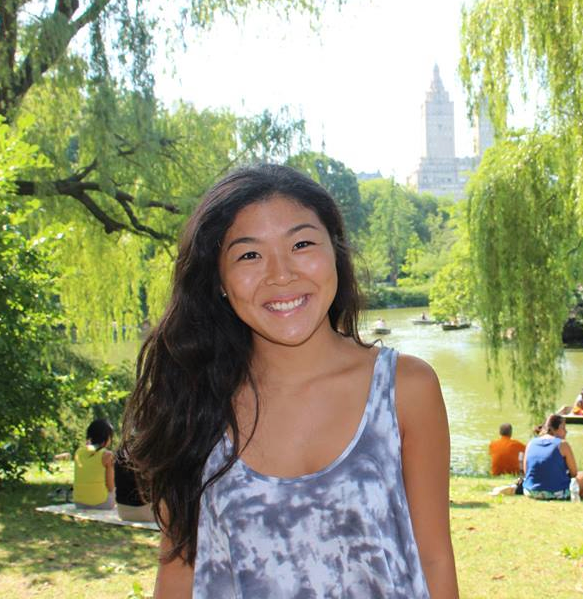 Passionate about sports and outdoor activities, Nakamaru enjoyed competing on the UC Davis Ultimate Frisbee Team, and her spirit of adventure led to a love of snowboarding, hiking and camping. She was also a true-blue Dodgers fan, like her father. Traveling to every continent was on her “bucket list,” and she checked one off that list this past summer by embarking on a family trip to Africa. Both Nakamaru’s Facebook page and a memorial Facebook page set up on Oct. 14 have been flooded with tributes from friends and relatives. “I knew she was a good girl, but had no idea how many lives she touched,” her mother said, adding that she was “never judgmental” and “always saw the good” in other people. Nakamaru is survived by her parents, Ward and Grace Nakamaru; two older brothers, Calvin and Andrew; grandmother, Lillian Nakamaru; grandfather, Yukoi Tanaka; aunts, uncles, cousins and friends; and her beloved yellow Labrador, Rosie. In lieu of flowers, the family encourages donations to the LiveLikeLisa Scholarship, which is being established by her alma mater. Donations (with “LiveLikeLisa Scholarship” on the memo line) can be sent to: South High School, Attn: Activities Office, 4801 Pacific Coast Hwy., Torrance, CA 90505. The “In Loving Memory of Lisa Sayaka Nakamaru” Facebook page, where those who knew her can share memories and photos, had more than 1,800 “likes” as of Tuesday. A celebration of life was chosen over a traditional service because “that’s what Lisa would want … She would want us to stay positive and move on,” Grace Nakamaru said. Kim Nakamaru Pidancet wrote the following remembrance of her cousin. “You were 10 years younger than me, almost to the day, yet you taught me more about living fearlessly, exuberantly, and according to your heart than your cousins and I could have ever taught you. “I love this photo from your high school graduation because all those leis show just how beloved you are and that turtle reveals your gleeful, goofy side and your love of animals. I was so very proud of you that day. “But what makes me proudest, and what others may not know, is that the essay you used to apply to UC Davis, your beloved college, started out with the line ‘I have always had the desire to help those who could not help themselves,’ and you go on to tell how, as a newly elected, intimidated ASB member, you broke from tradition and popular opinion and invited a long-tenured, hard-working secretary with whom you had never spoken to the awards luncheon that traditionally the same popular teachers were invited to every year. “Lisa, that heart of gold, those characteristics of yours, are just a few of the countless reasons you inspire me, and as I’ve learned over the last few days, literally thousands of others too. You are sorely and dearly missed, but your memory and shining legacy will endure in your friends and family, and generations to come. I love you, sweetheart. UPDATE: A “Live Like Lisa” celebration of life will be held on Sunday, Nov. 16, at 9 a.m. on the UC Davis campus in MU-II. Nakamaru’s family and friends, as well as UC Davis students, will be in attendance.